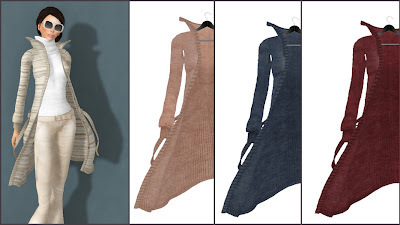 MOLICHINO: MOLiCHiNO Alana Coat - New Colours!! MOLiCHiNO Alana Coat - New Colours!! We have, Peach, Navy & Cherry!! Hi I'm Aurelia! I'm just another Second Life resident passionate about fashion and the arts!! I love to design and play around in Photoshop so decided to start my own line of clothing! I hope that you enjoy my creations as much as I enjoy creating them! MOLiCHiNO For TBB #2 & New System!